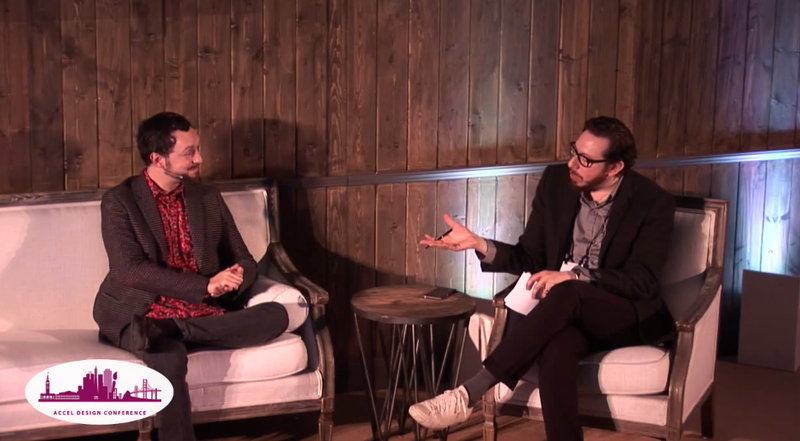 Matias Duarte, Android’s design guru, sat down last week at the Accel Design Conference with The Verge’s Josh Topolsky to talk what else, about design. In his 37 minutes of time, Duarte covers a range of topics from general, broad design ideas to making better developer tools for Android to the overuse of flat design and the idea that “mobile” should be dead. He also happened to be hiding and Android Wear watch under his jack, which Topolsky tried incessantly to get Duarte to use in front of the crowd. The broad design concept stuff at the beginning, to be honest, is quite boring unless you are obsessed with design, but the rest of the conversation is quite interesting. Duarte talks about how the Android team is really investing in making better tools for developers to use to create amazing apps and experiences, similar to what you would see on iOS. He also goes into detail over the idea that both apps and the web have it all wrong, and that there should be a better way of doing everything on the internet and mobile. He even addresses flat design, and how the Android team has tried not to excessively use the concept. But if you want to skip all of the design stuff, just jump right to the 25-minute mark to get into Android Wear. Duarte is indeed wearing an Android Wear watch under his jacket, though he doesn’t show it off. He does, however, discuss the concept and inspiration of Wear, while also making it clear that Google didn’t want to just take a smartphone UI and squash it into a watch. The full interview can be seen below.